The mess surrounding Papa John's Founder John Schnatter and his long, protracted resignation from the fast food pizza empire is only getting messier. 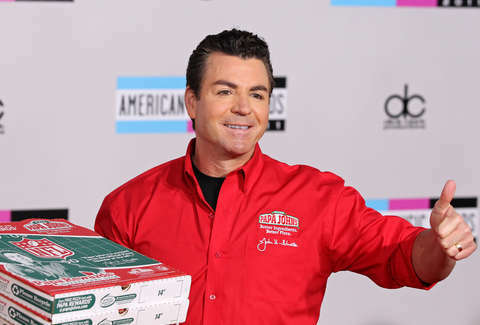 Shortly after Schnatter resigned as company chairman due to his use of a racial slur in a conference call, the man known as Papa John was scrubbed from all the company's marketing materials, evicted from his office, and lost his company several lucrative sponsorships with professional sports teams. But the Schnatter saga isn't over by a long shot. The embattled pizza company founder, who earlier this month expressed regret at stepping down from his position as Papa John's chairman, filed a lawsuit against his former company in Delaware Chancery Court on Thursday, in an effort to access documents that detail the decision making process behind his ouster, reports Reuters. "Mr. Schnatter's attorneys are seeking to inspect Company documents because of the unexplained and heavy-handed way in which the Company has treated him since the publication of a story that falsely accused him of using a racial slur," Schnatter's attorneys reportedly said in a statement. Schnatter's ouster was spurred by a story in Forbes that documented the former CEO's use of the n-word during a media sensitivity training call with a marketing firm. In a statement to Nation's Restaurant News on Thursday, Papa John's said it was "saddened and disappointed" by Schnatter's lawsuit. "We are saddened and disappointed that John Schnatter has filed a needless and wasteful lawsuit in an attempt to distract from his own words and actions," the statement read, per the report. "We are providing Mr. Schnatter all of the materials he is entitled to as a director. We will not let his numerous misstatements in the complaint and elsewhere distract us from the important work we are doing to move the business forward for our 120,000 corporate and franchise team members, and our franchisees, customers and stakeholders."